Great skiing offered by the resort's 50 modern lifts and more than 100 km of slopes, perfectly prepared from December to April, thanks to an advanced snow-making system. 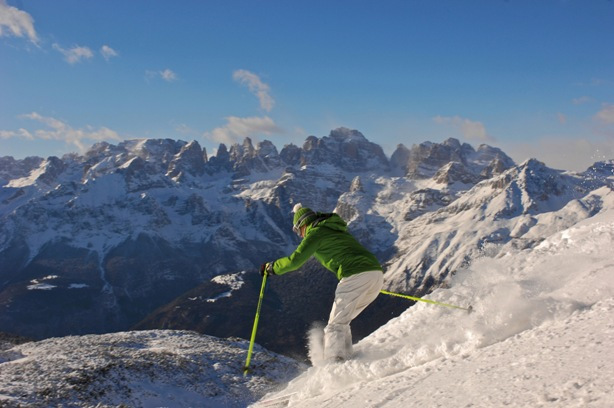 The skipass Fiemme/Obereggen, associated with the Dolomiti Superski, gives access to the ski areas Ski Center Latemar, Alpe Cermis, Bellamonte/Alpe Lusia, Passo Lavazè/Oclini, Passo Rolle and to the lower slopes in Ziano, where night skiing is possible as well. The skipass allows free entrance to the public swimming pools and to the ice-skating stadium.